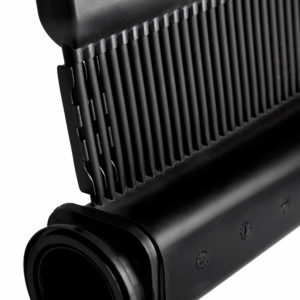 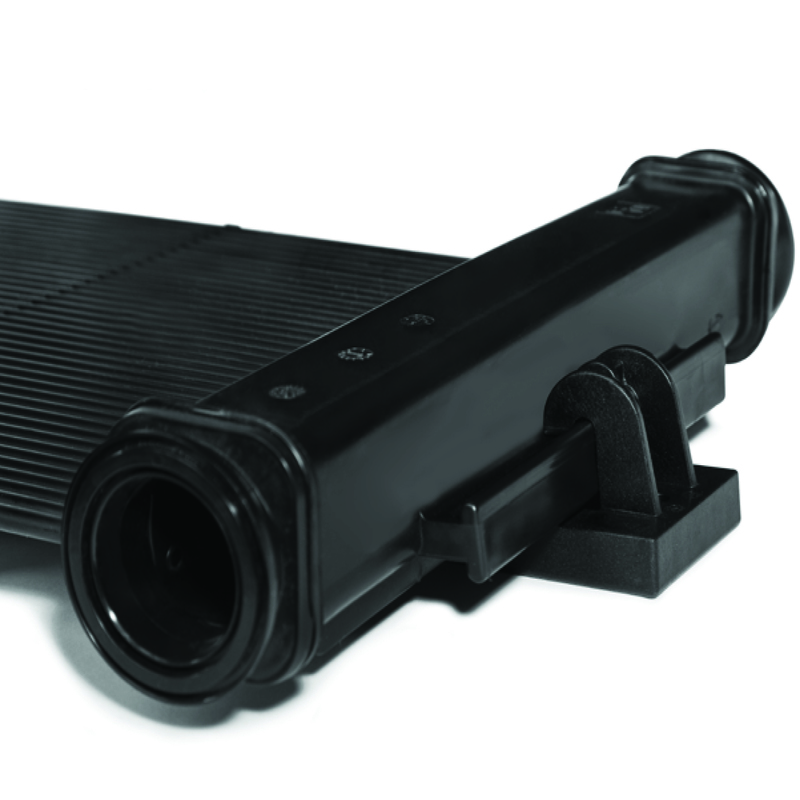 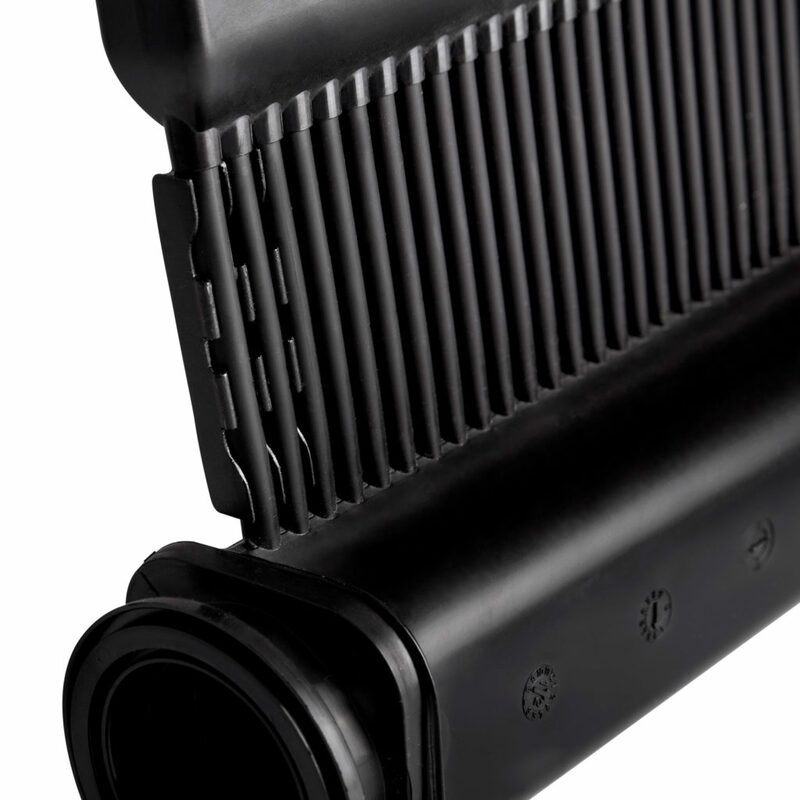 eco-SPARK solar pool heating prioritizes innovation, performance and durability above all else. 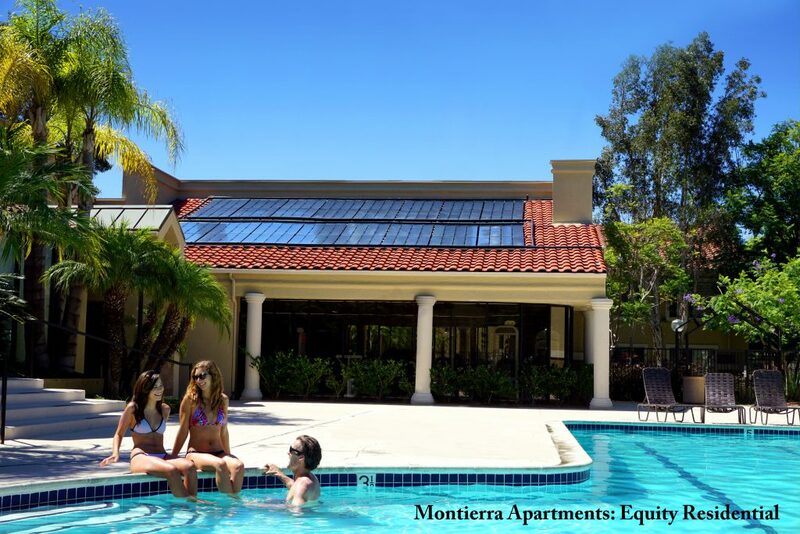 With special weather-resistant and energy-efficient technology, an eco-SPARK investment is both eco-friendly and economic. 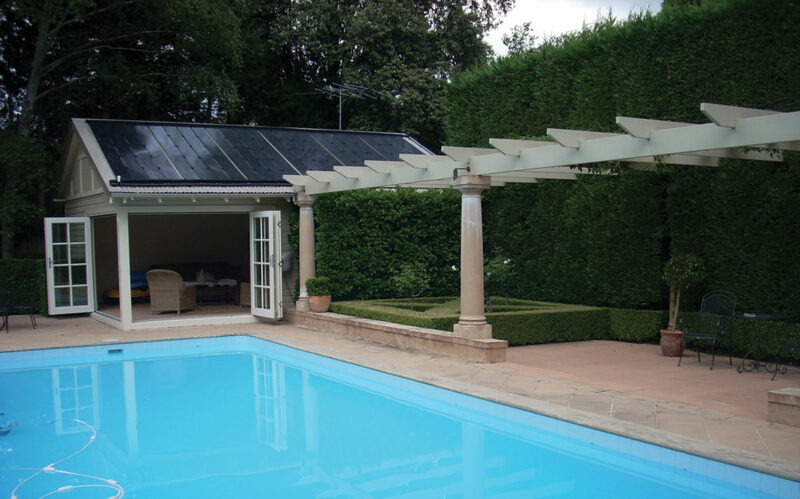 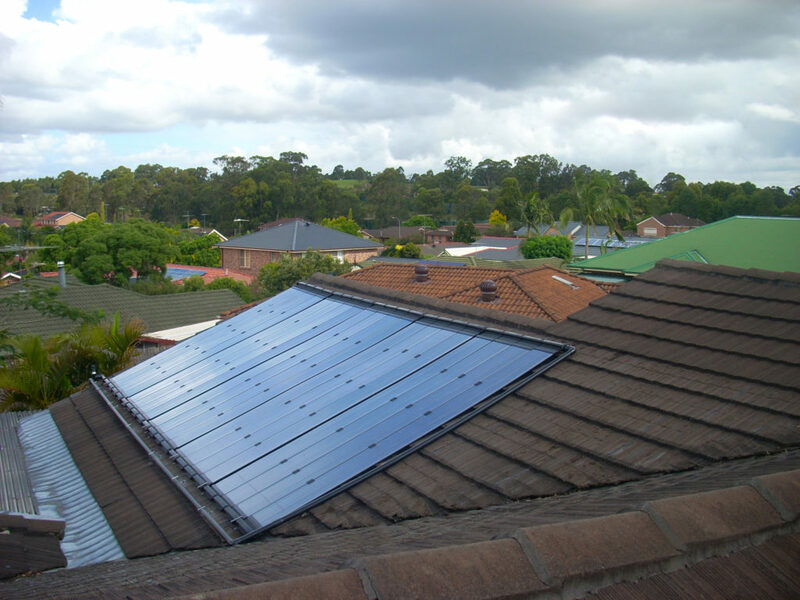 eco-SPARK is the next generation of solar pool heating. 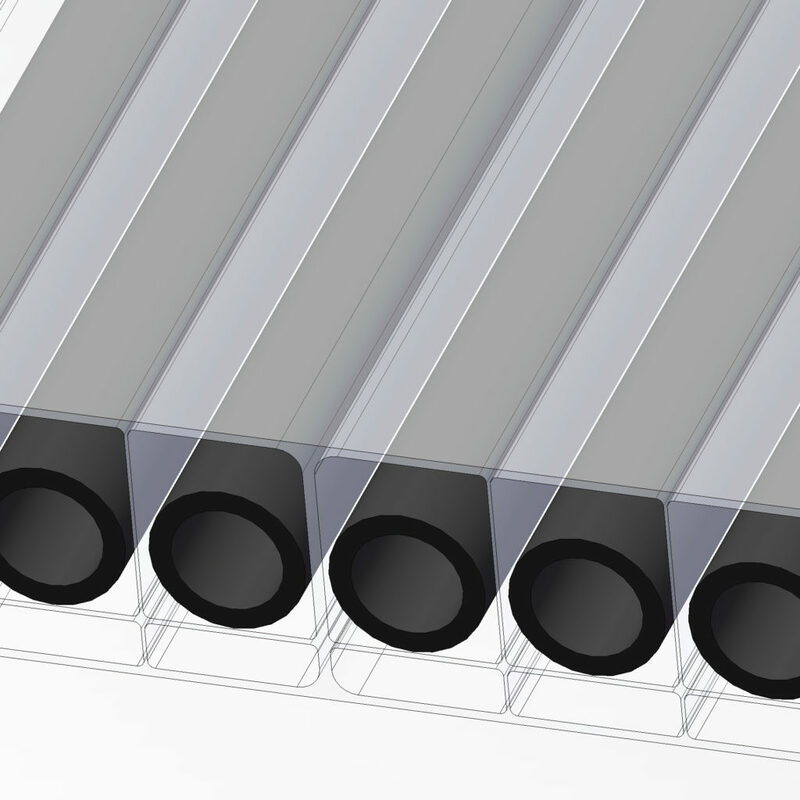 By extruding the collector tubes right inside a special glazing material, eco-SPARK significantly increases the performance of the collectors. 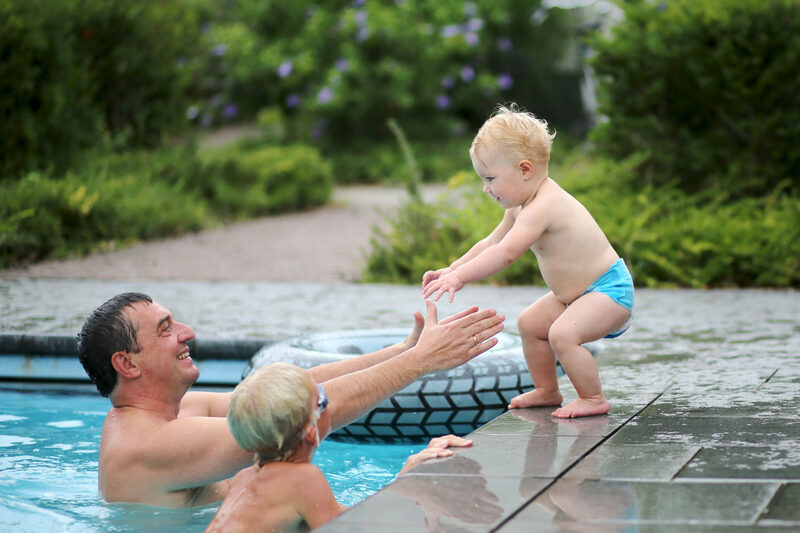 This glazing material creates a greenhouse effect which preserves energy—resulting in more warmth in your pool when you need it most. View the tech specs for more information about this innovative technology. Produces a greenhouse effect and back insulation for each individual tube. 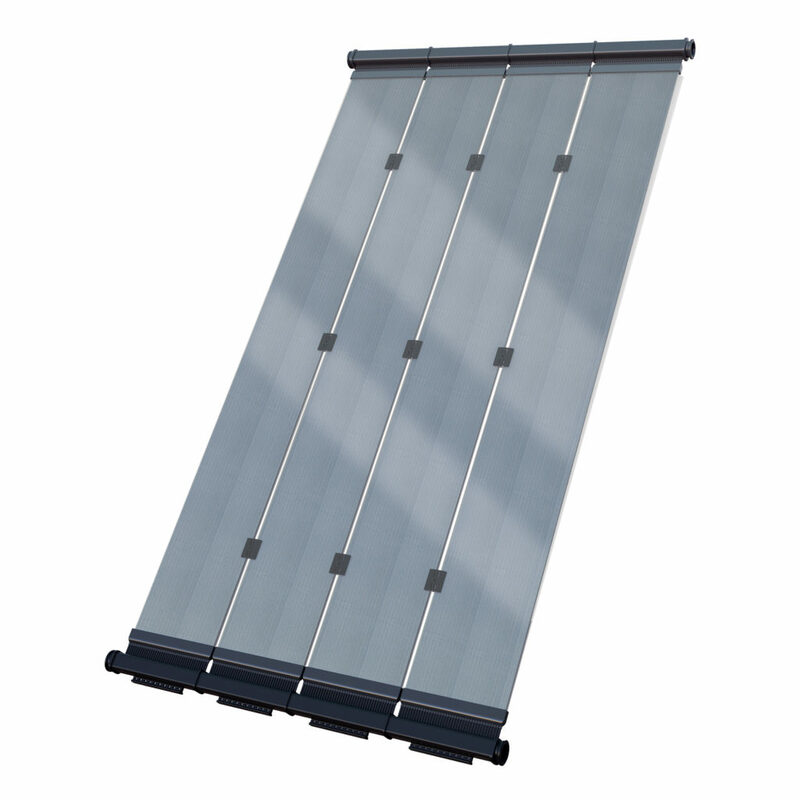 Significantly improves the thermal efficiency of the panel. 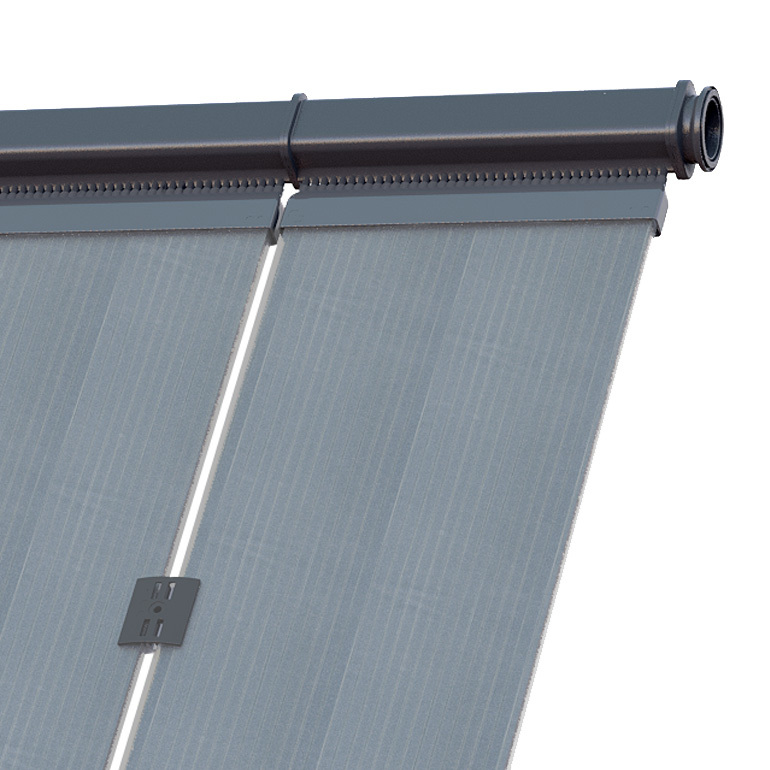 Patent-pending mechanism that allows the absorber to expand and contract, simultaneously preventing the ingress of water and dust into the glazing. 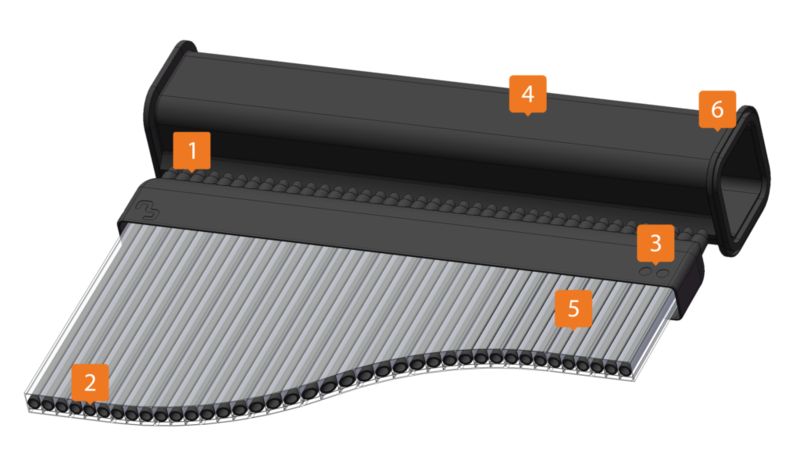 Unique square design to assure tight fastening and mounting of the panel to any roof type. 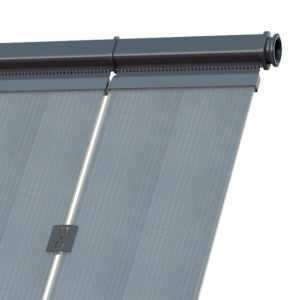 Coated with a durable and sustainable UV blocking layer that ensures high transparency over a long period of time. 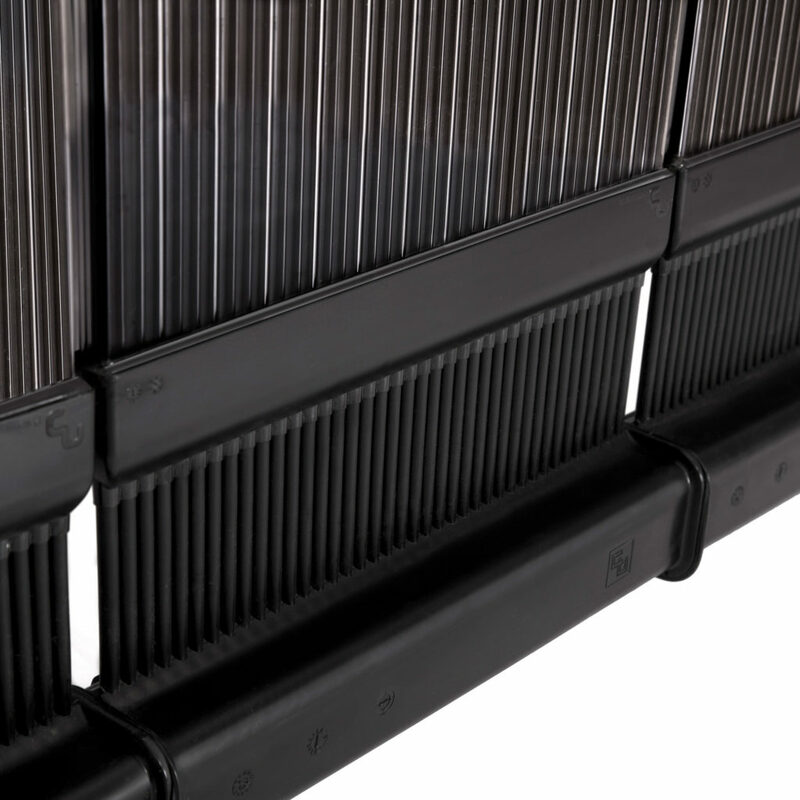 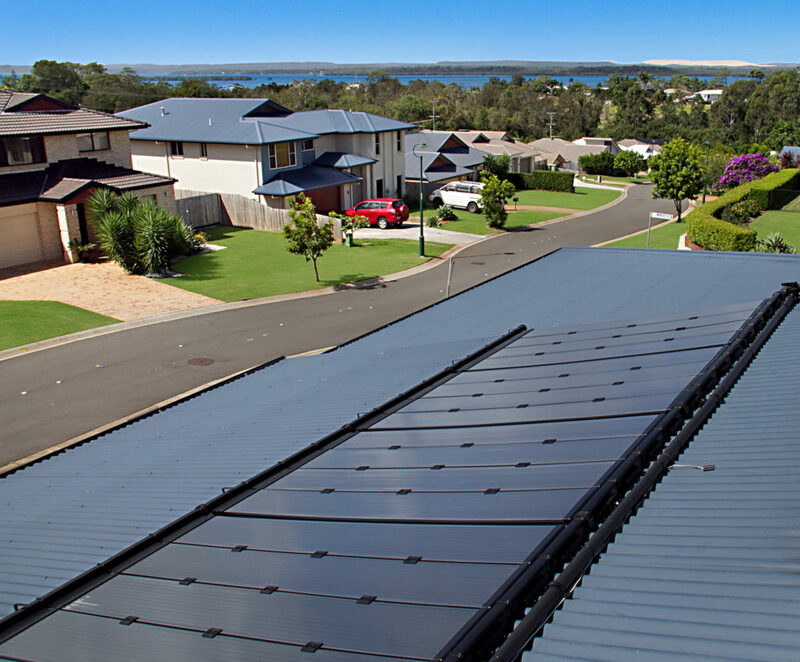 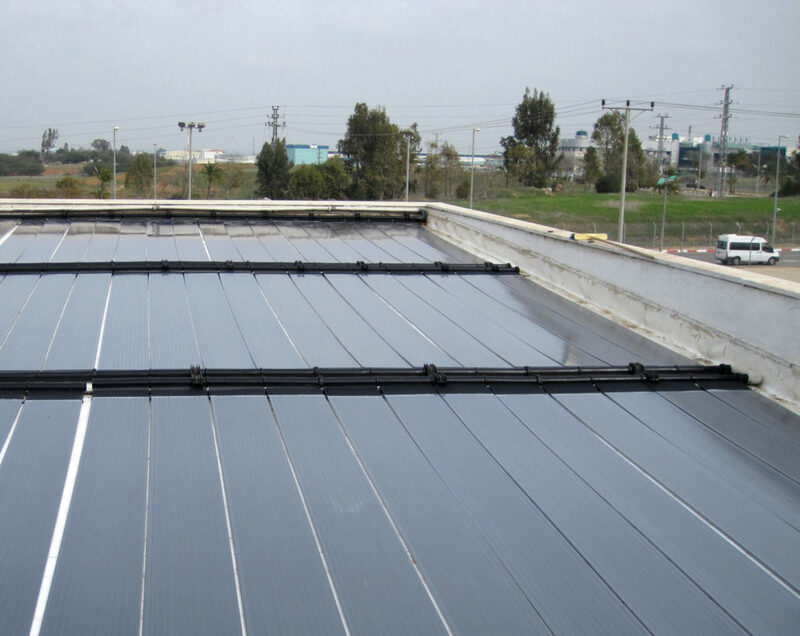 Enables fast and firm connection between panels, creating any size absorption area over any type of roof imaginable.